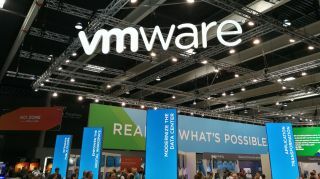 The VMware-VeloCloud deal: Are managed SD-WAN services in your future? The recent announcement that VMware will purchase VeloCloud highlights the growing maturation of the SD-WAN market. The recent announcement that VMware will purchase VeloCloud highlights the growing maturation of the SD-WAN market. At the same time, the acquisition also raises significant questions about the challenges facing the burgeoning market for managed SD-WAN services. SD-WAN transformed networking, allowing IT organisations to virtualise their wide area networks (WANs) and easily use MPLS, fibre, 4G/LTE or any other data service to connect locations. With SD-WAN, we could easily add new data services or remove old ones, terminate relationships with poorly performing carriers and expand your engagements with proactive ones. All without hours spent on complex network re-engineering and reconfiguration. This newfound flexibility allowed us to match the strengths of individual data services to our business requirements. Need to open an office next week, but can’t get the carrier to provision an MPLS circuit for another three months? Connect with xDSL today and switch to MPLS when available. Need to connect a team going out to a customer today? Use 4G/LTE for instantaneous connections. Regardless of the transport, the network’s policies and procedures remained the same. But more than just agility, SD-WAN allows enterprises to wean themselves off of expensive managed carrier services. By aggregating last mile services together, SD-WAN can provide far more capacity at a considerably lower cost per bit than managed carrier services. The rapid deployment features of SD-WAN made rolling out the technology easy. The ability to load-balance and switch sessions to alternate paths in the event of a brownout or blackout meant local loop availability could match, even exceed, the uptime of managed carrier services. SD-WAN challenged the carrier order, democratising global networking. Suddenly, any company with an Internet connection and SD-WAN could have an inexpensive global network. It was a direct threat to the carriers’ cash cow. The carriers needed a response in a way that both embraced the hype of SD-WAN but perpetuated carrier services. Ironically, SD-WAN itself provided the answer. While SD-WAN changed our networks, SD-WAN appliance vendor faced significant deployment challenges, challenges carriers are in theory well suited to address. SD-WAN appliances made delivering a global network simpler, but they hardly made it simple. Companies still needed significant engineering and implementation expertise to design and deliver an SD-WAN. They also needed deep network security skills and the know-how to integrate network security appliances into that SD-WAN. And, as it turns out, having a managed, global backbone also proved helpful with SD-WAN appliances. We IT people like our service level agreements (SLAs). They give us confidence that our global networks will perform, but just as importantly, they give us some teeth to keep our carriers in check. But adopting SD-WAN appliances as a means of reducing our WAN costs meant throwing away those SLAs and entrusting our global WANs to the Internet. It’s a leap of faith that most IT pros are reluctant to take. In fact, according to Cato’s survey of more than 350 IT managers, 62 per cent of organisations who adopt SD-WAN continue to maintain or increase their MPLS investment. And for good reasons. The Internet for all of its strengths brings too much latency and is too unpredictable for consistent delivery of high-quality voice and other sensitive applications, globally. The SD-WAN appliance vendors needed a channel to reach enterprises and the carriers needed to answer the threat to MPLS services. Presumably, managed SD-WAN services hold the answer combining the predictability of MPLS, the agility of SD-WAN, packaged with the high-touch world of carrier services. VeloCloud was arguably the biggest champion of this approach, striking 50 service provider partnerships. With SD-WAN adoption booming, VeloCloud seemed on the verge of the next billion-dollar networking success story. All of which makes the timing of VeloCloud acquisition particularly puzzling. Carriers have little incentive to push SD-WAN agility and much greater incentive to use SD-WAN to keep customers on their MPLS services or in some other multiyear contract. What’s more, their network modernisation efforts involving Network Function Virtualisation (NFV) is still emerging with little return on a massive investment. “Some companies that I speak with like the idea of tying themselves to a carrier. They believe it reduces risk, but it really doesn’t,” says Steve Garson, president of SD-WAN Experts, an SD-WAN design and engineering consultancy. Services have long played a valuable function in the IT toolbox. We’ve outsourced our applications to the likes of Microsoft and Salesforce. We’ve moved our servers and datacentres to Amazon AWS. And they will play a significant role in the development of our networks. But the SD-WAN services we need are not the process-laden services of old. They’re the services of the cloud era — inexpensive, elastic, and agile, driven by self-service models of support — not ticket submission. Bringing those same characteristics to the SD-WAN market are essential. We do need the predictability of managed backbones to be combined with SD-WAN, but we need them with cloud-like speed and service. The cloud didn’t start with the traditional carriers. It came from organisations who custom designed their business DNA for superior customer experience. SD-WAN services will require that same customer-first mentality if they’re to be successful. But delivering on that goal is no quick fix. It requires agile and responsiveness to built into every fabric of the company from the product to the team supporting and implementing it. It is technology and an attitude, requiring far more than just wrapping SD-WAN appliances in pretty packaging.